Petit Design Co: Win a GO! My friend Gene recently won a GO! from Accuquilt. How cool is that? Well I'm here to tell you that there are a few giveaways going on around bloggy land for GO's. 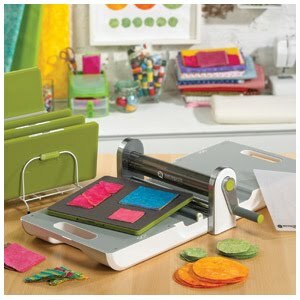 First head on over to the Accuquilt fan page on Facebook and become a "fan." They're giving a GO! away every time they reach a set number of fans (the next drawing is at 5,000 fans.) You can also enter a drawing over on Bejeweled Quilts by Barb but if you do, make sure and tell her Petit Debutant sent ya! Thanks for the shout out! Good Luck! I already won one! It came today. Yaaay!